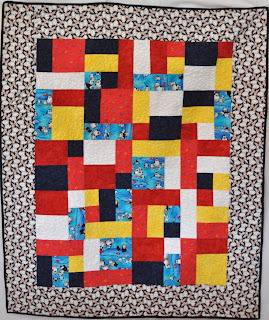 When my son told me that his wife was expecting a baby, we bought the fabric for this quilt but I didn't make it up until late last year. As you can see from this photo, Emma shares her father's enthusiasm for penguins. Isn't it good to feel so appreciated? 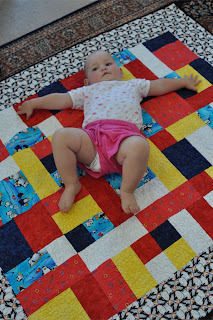 Emma looks very happy on the quilt, as she should, it is lovely.